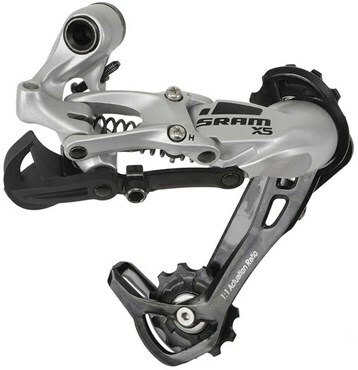 The SRAM X5 is for trail enthusiasts the world over. If you find yourself starting the day on the trail, but you end the day pedaling the city streets then the SRAM X5 is the ultimate choice. This is the Long Cage version. Bought this as a replacement for my 17 year old sram set. Was easy to fit on my old hanger and after some work on my cable lengths was setup. Price wise I got a new dérailleur for the cost of some jockey wheels. Delivery was good.